Mahesh’s Next Audio Release Date :Superstar Mahesh Babu pinned huge hopes on his next movie which is currently under shoot. 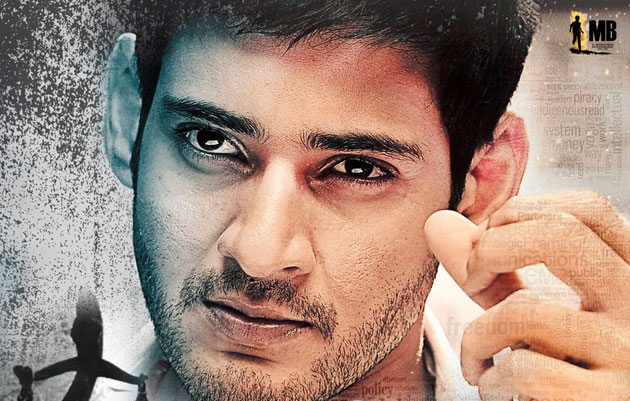 AR Murugadoss is the director of the movie with which Mahesh is making his Tamil debut. Made on a budget of Rs 120 crores, the film is said to be a stylish action entertainer. 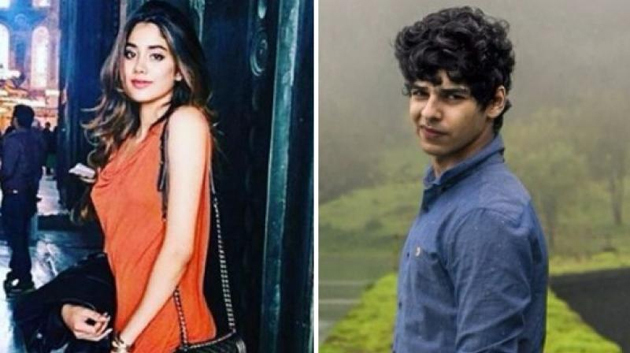 Despite of several rumours, the first look and the title of the movie are yet to be revealed out. Rakul Preet Singh is essaying the female lead and she will be seen as a medico in this untitled project. Balakrishna’s Next Movie Title? : Nandamuri Balakrishna scored his career’s best hit with Gautamiputra Satakarni which released during Sankranthi this year. 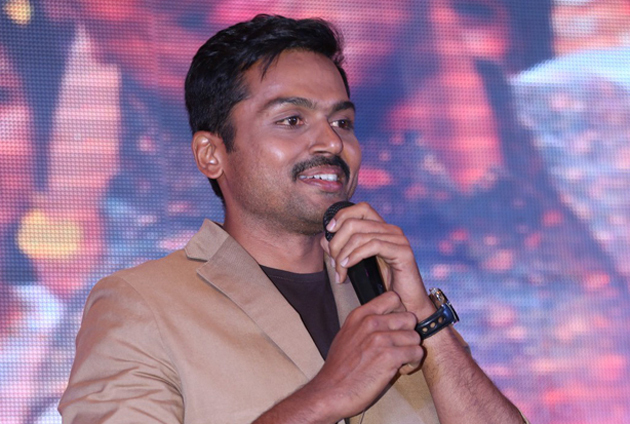 The actor surprised everyone after he signed a film in the direction of Puri Jagannadh. 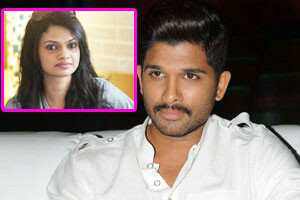 The movie is said to be an out and out mass entertainer and it started rolling recently. A special action sequence is currently being shot in the city and a massive schedule has been planned in Spain. Kajal Agarwal and Tamannaah are considered for the roles of the heroines and an official confirmation is awaited. Director SS Rajamouli’s most awaited movie ‘Baahubali – The Conclusion’. 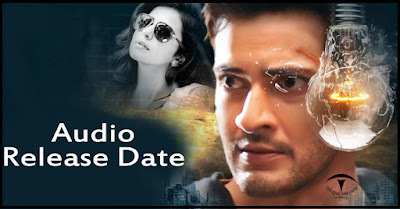 The movie is all set to hit the screens on 28th April and there are grand plans are in store for the movie’s audio launch and pre release events. The latest buzz from Tamil media circles are that Super Star Rajinikanth will be gracing the audio launch event of the movie’s Tamil version on April 9th in Chennai. Apart from Rajini, several celebs from Kollywood and the movie’s entire unit will be present at the event. Meanwhile, the Telugu version’s pre-release event will be held on March 26th at the Ramoji Film City. Akkineni Nagarjuna is presently doing 'Raju Gari Gadhi-2'. Nagarjuna is usually active in social media.. but he has given some break in the last month..and came back with a tweet 'back in business again' sometime back. Meher Ramesh disappeared from the light after two consecutive disasters. Not only did he, even the producers of 'Shakti' (Ashwini Dutt) and 'Shadow' (Paruchuri Kireeti) stop making movies thereafter. In the last four years, Meher Ramesh has not directed any film since his project with Raviteja was archived and none of the producers is willing to risk so much crores investing in their projects. Finally, this Flop director decided to use the family bonus he shares with Mega Heroes to bounce. 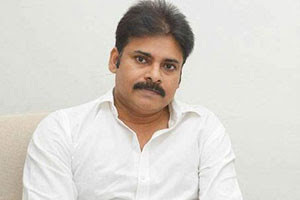 Power Star Pawan Kalyan - Is it True or just a Rumour? Reports from Pawan Kalyan 'Theri' Telugu remake firm surprised the fans. Why, Dil Raju has released the dubbed version of this Tamil movie in Telugu States with the title of 'Police' last year. They believed that this could be true, because even the upcoming release of actor 'Katamarayudu' is a remake of 'Veeram' which was christened Telugu as 'Veerudokkade'. Fans, however, were disappointed with the choice of Powerstar scripts in the recent past. They even labeled Pawan Kalyan with the message "Makoddu Ee Remake Lu". 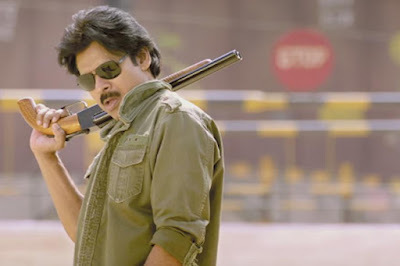 The next film by Pawan Kalyan 'Katamarayudu' is a remake of the movie Ajith 'Veeram' which was dubbed and released in Telugu as 'Veerudokke' a few years ago. No one knows what made PK sign such a project. If the latest update is believable, Pawan Kalyan has done the same thing again. 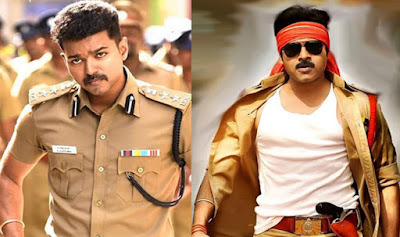 It seems that he has signed the remake of Vijay's 'Theri', which was already dubbed Telugu as 'Police'. This film will be directed by Santhosh Srinivas of 'Kandireega' and 'Hyper' fame. Mythri Movie Makers is funding this project. 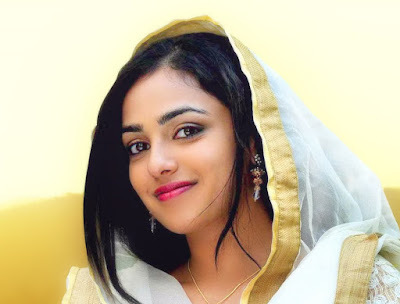 Okka Ammayi Tappa was the last outing of the immensely talented Nithya Menon. She has not been seen in other language films as well. But we come to know that she is well on her way to fulfilling her leading ambitions. For the past two months, she has been sitting on two dashes and one of them has approval. Sources say, the casting has been done and the producer has been roped. An announcement about your business address is expected sooner rather than later. Good luck to you Nithya ... !! Venky starrer 'Guru'. Tamil film dubbed 'Cheliya'. RGV hindi movie 'Sarkar-3' are scheduled for release on April 7. Surprisingly, one of these three films can reach the screens according to the calendar. The release dates of the rest of the two films are going to change according to the rumor. 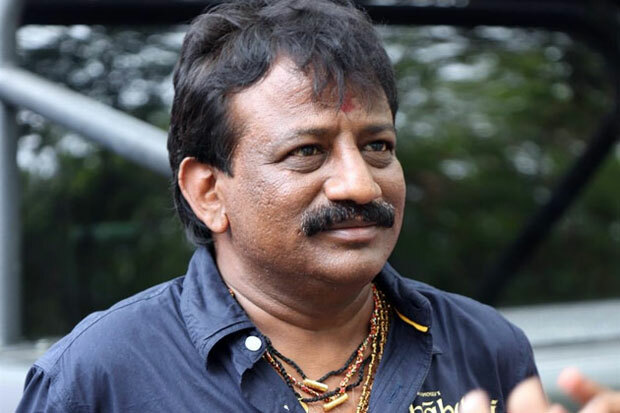 Producer of 'Guru' Sasikanth is planning to release the film a week before schedule. As 'Cheliya' is carrying a very good buzz, he is thinking of releasing 'Guru' a week earlier for cash in the Ugadi festival season. 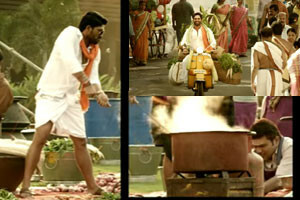 Even the senior PRO BA Raju confirmed that 'Guru' could be released on March 31. Although the upcoming Nayantara film 'Dora' premieres the same day, it will not have much impact on 'Guru'. There is no clarity about Puri "Rogue", tentatively scheduled for the March 29 launch. Even 'Rogue' will not have much impact on the film of Venky. 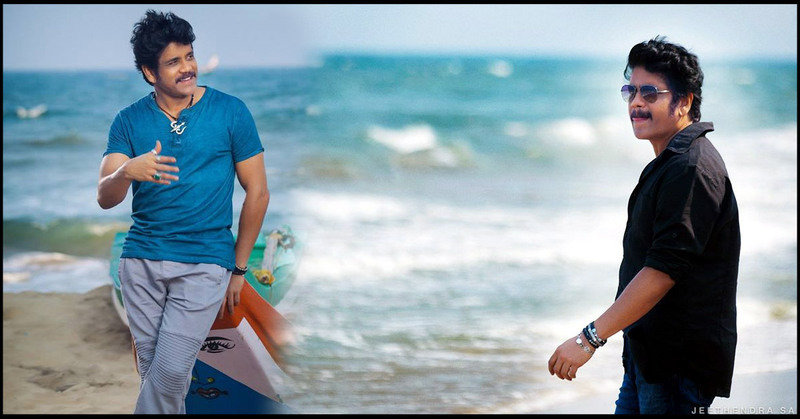 Akkineni Naga Chaitanya is in full speed right now.. the success of Premam.. getting good recognition for Sahasam Swasaga Sagipo..engagement with Samantha.. everything appears to be postive for Chaitu. Apart from all these things... his new film in the direction of Krishna RV Marimuthu is completing in jet speed. This yet to be titled film has completed 18 days schedule recently. Almost entire cast of this film participated in this schedule. Allthe crucial scenes in the film have been completed in this schedule as per the update. Revathi.. Rao Ramesh.. Priyadarshi.. & several others participated in the shoot. 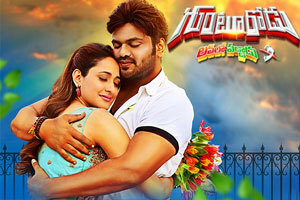 Senior hero Srikanth is playing a key role in this film..Lavanya Tripathi is the heroine. 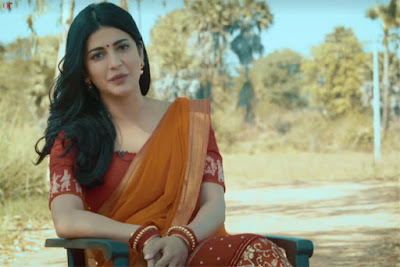 Katamarayudu is the flavour of the season and Pawan Kalyan is currently grooving to the tunes of Anup Rubens in Italy alongwith Shruti Haasan. On March 24th, the film is to hit theatres. The Twitter handle of popular singer Suchitra has become Suchi leaks. This account has been creating a sensation in Tamil film industry for a while. 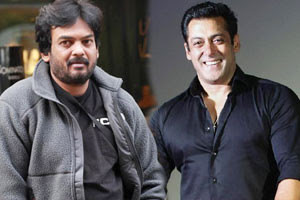 Will filmmaker Puri Jagannadh collaborate with Dabangg star Salman Khan? We came to hear that it is likely that the top two industry personalities will be able to join in the near future. Puri recently met with the actor and spoke in his latest outing "Rogue", which has been the talk of the city since its first appearance and release of motion poster. Giving him the details of their encounter, Puri claimed that the actor was very impressed with the script of 'Rogue', which has a unique taste of love in it. Khaidi No.150 is now officially the second-highest Tollywood winner of all time. This release Sankranti raked in a gross of Rs 164 crore and Share of Rs 104 crore. 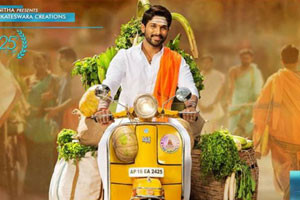 Only the second Telugu movie to collect a share of Rs 100 crore or more to date. Allu Arjun sólo ha movido el nido de un avispón haciendo el comentario del "Cheppanu Brother". A pesar de una explicación detallada por él, Pawan Fans comenzó a apuntarle deliberadamente desde entonces. Ace Telugu's filmmaker, SS Rajamouli, whose forte is heroism in the action sequences, said he would present the 'Father of all action scenes' in his upcoming film 'Baahubali 2'. 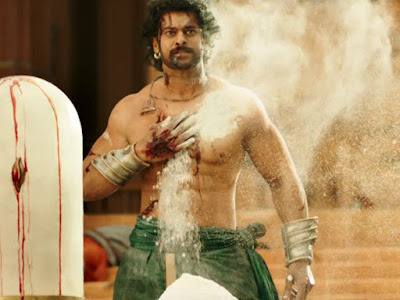 Speaking of the action sequences in the second part of 'Baahubali', Rajamouli said the audience knows the physical strength of Shivudu and Bhallaladeva from the first part. "In the second part, I'll show what could happen when they face each other. Even though we have war sequences in part 2, the fist fight between these two helmets will be the father of all the action scenes in Baahubali 2, "he added. Heroine Amala Paul has taken divorce from her husband AL Vijay, who happens to be a director in Tamil film industry. And he is not to wait for years before they again strained. 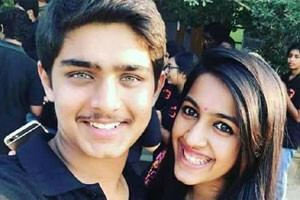 According to reports from Tamil industry is Amala's ex-husband Vijay now ready to tie the knot with a Tamil girl. Actually her father, senior producer AL Alagappan found a suitable match for his son and wants him to marry soon. Perhaps in the next few months, this marriage can happen. 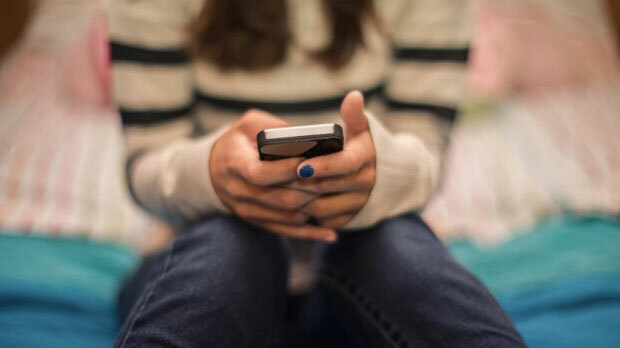 A British woman named Annie a case and has now filed a petition to create a new law to the people who upload fake profiles on dating websites like Tinder penalties. Nandi Awards for the year 2012 and 2013 are announced today by the AP government to honor the best players and the best technicians in the industry. Believe it or not, two films produced by a producer took a whopping 10 Nandi Awards in the year 2012. Guess Who's the lucky man? Yes, it is none other than Sai Korrapati! While SS Rajamouli director 'Eega' pockets 9 Nandi Awards, Hanu Raghavaudi's maiden flick 'Andala Rakshasi' managed a Single Award. Both of these wonderful projects were bankrolled by Sai Korrapati on Vaarahi Chalana Chitra banner. 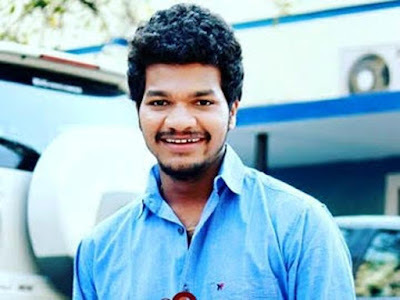 Mass Avinash gained fame with Jabardasth Comedy Show aired on ETV. Now, this leading Comedian has been in news for all the wrong reasons. 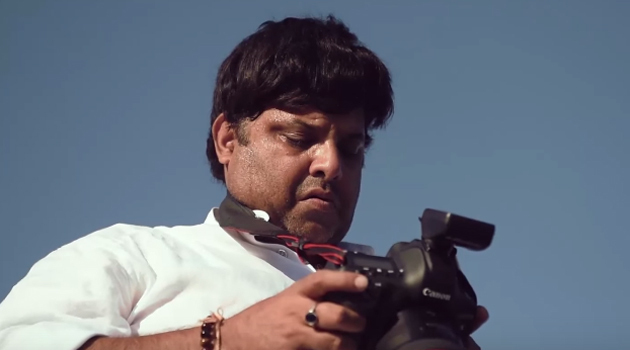 KT Creations planned a Comedy Show with Avinash Mass on the eve of Maha Shivaratri. The Event Management Company even paid Rs 10,000 in advance to the Comedian on 14 February. However, Mass Avinash not show up for the event on 24 February. He also turned his cell and was not accessible. Whenever Sai Dharam Tej signs create a new project, link-up reports surface and they remain in circles until it was condemned by him. This happens because of the nature of the relationship between Tej and his Co-Stars. In reality, Tej had a crush on only two Actresses so far. 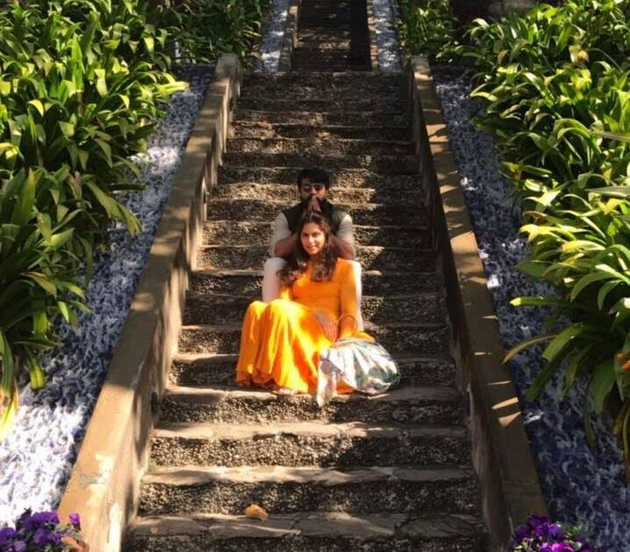 keep professional commitments Ram Charan and Upasana quite busy. Still, they manage to put together a good amount of time. How is it possible? 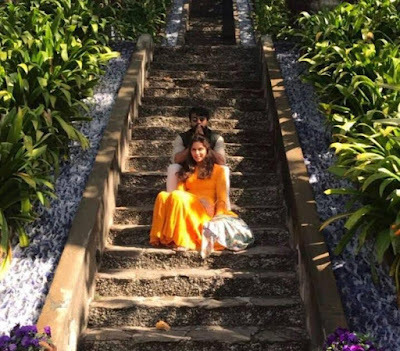 After the end of the work day's Upasana would go directly to the shooting spot as Charan is still on the sets. After pack up, both come together at home. Post 'Dhruva', Ram Charan has not yet started shooting his next project. So, He guided Upasana when she went to Parmarth Niketan in Rishikesh to bring her address on conscious wellness, health and few goals at the International Yoga Festival. Upasana says proudly, "Mr.C came to encourage and support me." Vishal Bhardwaj's latest managerial Rangoon was one of the most anticipated films for the release and was expected to earn respectable numbers at the box office, considering it marked the reunion of Vishal Bhardwaj with Shahid Kapoor after Kaminey and Haider and Saif Ali Khan after Omkara . It also meant the union of Kangana Ranaut with the acclaimed director. With Shahid, Saif and Kangana to work together for the first time, everything was in the advantage of film, with the exception of the box office figures. The film, which opened disappointing Rs. 6:07 crore, took her three-day total to a meager Rs 18:25 crore at the box office. After a dismal start, everything depended on Monday his guard, but that did not come, too. 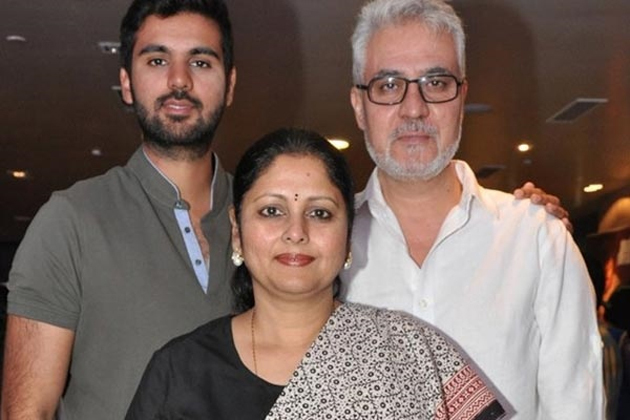 The film did not pass the test Monday and has earned just Rs 1.97 crore taking its four-day total to Rs 20:22 crore. Queen Elizabeth II to watch Baahubali 2 for each of us?